If you’ve ever dreamed of being able to conjure up the mouthwatering pastries you’ve enjoyed in a Parisian cake shop but thought it would be too hard, think again! 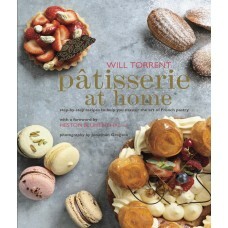 Will Torrent is a rising star in the pastry world, his grandfather was a chef and his family owned a pâtisserie in Paris. In this, his first book, he aims to take the fear factor out of French pâtisserie. 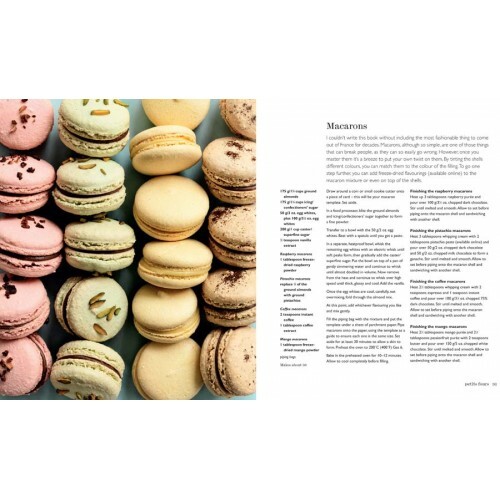 With step-by-step photography, a no-nonsense approach to the key pastry techniques, and more than 60 beautifully illustrated recipes, this book will become an invaluable source of inspiration and a constant reference for all your favorite French-inspired sweet treats. 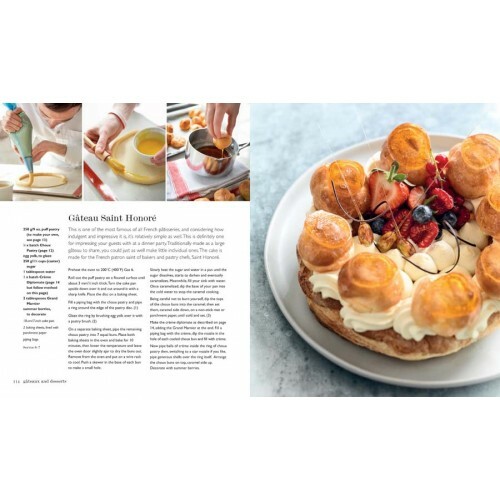 There are chapters on Basic Techniques, Pâtisserie, Tarts, Petits Fours, Gâteaux & Desserts, and Viennoiserie, and you’ll find recipes for mocha éclairs, honey madeleines, lemon tart, brioche, and macarons. With a foreword by Heston Blumenthal and striking step-by-step photography to guide you through the more difficult techniques, Pâtisserie at Home is a treasure trove of recipes to be visited time and time again. • ‘[Will’s] book, I’m sure, will become an instant classic…there are plenty of twists among these pages to keep you on your toes, fire up your culinary imagination and impress the hell out of whoever’s lucky enough to come round for dinner.’ Heston Blumenthal, OBE. • ‘A great book from an energetic, accomplished and skilled craftsman—you can’t help but enjoy it!’ Brian J Turner, CBE.